Rainwater harvesting systems don’t have to cost an arm and a leg. Come and learn how to build an “el cheapo” system for your home and landscape. 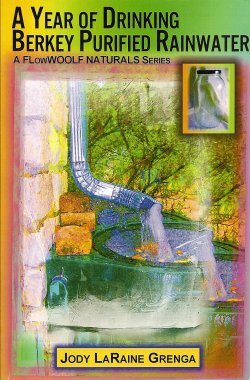 Dr. Jody Grenga, resource mizer and author, will describe how she devised a very inexpensive way to collect and purify rainwater for drinking and watering the garden. This presentation is free and open to the public (donations to help cover room rental gratefully accepted). No RSVP required. For questions, contact Gayle through “Contact Us” or 512-478-9033. Whether you seasoned natural builder or are just learning, come share your enthusiasm and stories with visitors to our booth. Help acquaint others with our natural building materials samples, photos, resources, and amazing possibilities. For more details, visit The Clipboard Lady on our “Current Volunteer Opportunities” page. As the title suggests, reducing is a far more powerful way to improve your life and the world than either reusing or recycling. 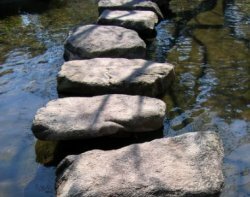 Although just “cutting back” isn’t a very exciting motivator for most folks, the process and the results can be truly thrilling. Learn how to create (not just avoid spending, but actually CREATE) enormous amounts of free time, attention, energy, and MONEY through “reducing”. Location: Casa de Luz, 1701 Toomey Road, Austin, Texas This presentation is free and open to the public (donations to help cover room rental gratefully accepted). No RSVP required. For questions, contact Gayle through “Contact Us” or 512-478-9033. Awakening the Dreamer¬†is a powerfully-effective motivational tool to bring people (activists & non-activists alike) into a state of “blessed unrest,” in which they become informed, hopeful, inspired & motivated to commit themselves to action towards a more just, kind, sustainable, fulfilling world. Awakening the Dreamer Symposium (www.awakeningthedreamer.org) was created by the Pachamama Alliance (www.pachamama.org), an organization based on environmental sustainability, social justice and spiritual fulfillment. Norm Ballinger and Lester Germanio are hosting a rain jar workshop. 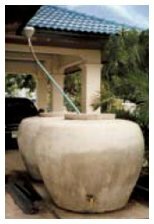 Rain jars are ferro-cement “jars” from 75 gallons to huge for harvesting rainwater. Jars are built in place and finished to look like large ceramic pots. The workshop is free for those who sign up. This workshop is limited to 20 people. But don’t worry, we will have more! What to bring: Pot luck dish to share, eating utensils, beverage, pliers (lineman’s pliers work best). Please call (512-921-9482) or email Norm (n_ballinger@yahoo.com) if you’d like to participate.